Your Skin But Better™ CC+ Airbrush Perfecting Powder Illumination™ with SPF 50+ is rated 4.3 out of 5 by 104. Developed with plastic surgeons, CC+ Airbrush Perfecting Powder Illumination™ is your original, best-selling CC+ Airbrush Perfecting Powder™—infused with micronized pigments of light for a lit-from-within finish without glitter or shimmer! In addition to delivering subtle radiance, this game-changing powder combines buildable optical-blurring coverage, proprietary Drops of Light Technology™ and SPF 50+ physical sunscreen to camouflage the look of imperfections and deliver powerful sun protection. Plus, it’s completely talc-free, so it won’t settle into lines or pores and doesn’t crease, cake or crack. CC+ Airbrush Perfecting Powder Illumination™ also contains anti-aging hydrolyzed silk, hydrolyzed collagen, niacin and peptides, making it your skin-loving essential for the look and feel of your softest, most radiant skin in just 30 seconds! . Your best-selling CC+ Airbrush Perfecting Powder™ with SPF 50+ physical sunscreen, infused with subtle radiance! ACTIVE INGREDIENTS: TITANIUM DIOXIDE 20%, ZINC OXIDE 16% INACTIVE INGREDIENTS: MICA, LAUROYL LYSINE, ETHYLHEXYL PALMITATE, ZINC STEARATE, AQUA/WATER/EAU, SILICA, HYDROLYZED COLLAGEN, HYALURONIC ACID, NIACINAMIDE, PALMITOYL TRIPEPTIDE-1, PALMITOYL TETRAPEPTIDE-7, SERICA/SILK POWDER/POUDRE DE SOIE, TOCOPHEROL, GLYCINE SOJA (SOYBEAN) OIL, RETINYL PALMITATE, SILICA DIMETHYL SILYLATE, ASCORBYL PALMITATE, ALOE BARBADENSIS LEAF EXTRACT, CAMELLIA OLEIFERA LEAF EXTRACT, CAMELLIA SINENSIS LEAF EXTRACT, CARICA PAPAYA FRUIT EXTRACT, CHAMOMILLA RECUTITA FLOWER EXTRACT, OLEA EUROPAEA FRUIT EXTRACT, PUNICA GRANATUM EXTRACT, ROSA CANINA FRUIT EXTRACT, VITIS VINIFERA SEED EXTRACT, CHOLESTERYL CHLORIDE, CHOLESTERYL NONANOATE, CHOLESTERYL OLEYL CARBONATE, GLYCERIN, BUTYLENE GLYCOL, CARBOMER, POLYSORBATE 20, PHENOXYETHANOL, BHT, [+/-: IRON OXIDES (CI 77499, CI 77491, CI 77492), ULTRAMARINES (CI 77007)]. For a skin-softening, flawless effect in just 30 seconds, gently buff on powder using your favorite IT Cosmetics™ brush. Provides buildable, sheer-to-full coverage to be worn as a finishing powder or powder foundation. Apply your multitasking CC+™ Cream SPF 50+ for highly pigmented full coverage, plus anti-aging skincare and SPF 50+ physical sunscreen, then add CC+ Airbrush Perfecting Powder Illumination™ SPF 50+ for a flawless-looking finish! Rated 5 out of 5 by Ajolilly from Fun product. Although I have dry skin, I can use this over my CC+ and it does not look heavy or "powdery". It finishes nicely and the SPF 50+ is always a great bonus. Rated 5 out of 5 by mama51 from Special gift! I bought these for my daughter who has been unable to find it at Ulta where she always bought it! She loves how it looks and will continue to use it as long as she can find it here! Rated 5 out of 5 by AmyL44 from Bought for the SPF... I bought this solely for the spf in the product so I could reapply sunscreen throughout the day. But I am blown away by how nice it makes my skin look! It is easy to use and makes for the best skin! Rated 1 out of 5 by Becca2019 from Almost expired product I received my powders and was soo excited but...the expiration date was within a few month ...I called the customer service and received replacement product with the same experation date. It’s a sun protection and it was very important for me but I will look for something else elsewhere. Hello! I have a warm undertone to my skin. a yellow undertone. I'm not sure which color would look best on my skin. The medium is too dark based on the camera and the light seems just about right . What should I do? 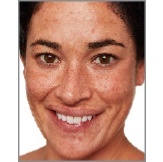 hello, I'm looking for light coverage with SPF and wondering if this would work for me. I tried the CC cream and found it to be too heavy. Is this or any of your products with SPF vegan? Hi there, thank you so much for reaching out! At this time IT Cosmetics does not formulate any products to be Vegan. For any specific ingredient inquiries, you can reference the full list of all active ingredients on every product page on our site. We hope this helps! XOXO Tina. I have combination skin, a little more on the dry side. I want a powder that is light, hydrating, and has an spf. I just ordered this product and hoping for great results. Would you recommend this for my skin type or should I have gotten foundation? Hi there! Thank you for your question. 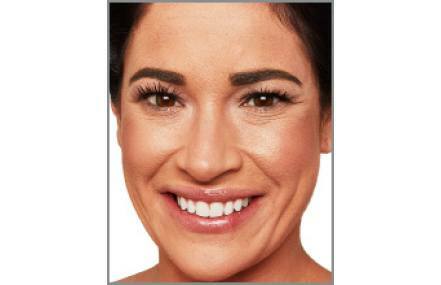 You can absolutely use the CC Airbrush Perfecting Powder given the information provided. IT offers lightweight completely buildable sheer to full coverage! We can't wait for you to try IT out. XOXO Tina.